The Leopard has all the usual ingredients of a Harry Hole novel. Harry is in the Oslo police, barely, having taken off to Hong Kong after the end of the previous novel (The Snowman) and wallowing in various pits of despair. A fellow detective from the crime squad, Kaja Solness, is sent to bring Harry back to Norway because the police believe that a serial killer is at work and Harry is their best detective. He isn’t tempted, until Kaja tells him that his father is dying. Back in Oslo, the justice ministry is planning to merge the regional crime squads and Kripos, an elite unit that can be called upon to help with serious crimes, into one group. The head of Kripos, Mikhael Bellman, is a political operator who manipulates Harry’s boss into seconding Harry to his own team, with the aim of taking the credit himself for anything Harry discovers, so he will be head of the new set-up. Seemingly oblivious to these machinations, Harry, Kaja and a forensic specialist investigate the crimes – soon discovering a link between them. By far the best parts of the book are the descriptions of Harry’s detective work and his leaps of intuition which gradually unravel more and more complex relationships between various characters. The Leopard is very long, but the author keeps up the pace by constantly ringing the changes as one suspect after another, and one clue after another, turn out to be red herrings or if not, shelved until later. In the process, there are plenty of personal dilemmas and tight spots for Harry, as well as some dramatic set-pieces. To enjoy this book to the full, however, the reader has to suspend a lot of belief. Bellman is presented as being very ambitious but we don’t learn what Kripos does to try to solve the murders – only that they are completely unsuccessful. As there are several suspicious witnesses who obligingly provide clues, it seems highly improbable that the Kripos team would not have got at least some way down the path that Harry has uncovered simply by asking an old friend from a previous novel in the series, now incacerated in a mental institution, to do a bit of specialist internet research to uncover connections between the victims and others. Even Harry, however, ignores some suspicious aspects of some of the people he meets as a result of his inquiries – I can’t specify which as this would spoil the book for those who have not read it, but again, a simple investigation of some official registries based on information volunteered by more than one character would have cut several corners. Coincidence also plays a large part, for example a man Harry meets in Hong Kong in the prologue happens to tell him much information about the unusual murder weapon and where it probably originated. And Harry does lots of things he should have learned not to do by now, particularly his reckless final pursuit with no back-up. By far the worst flaw in the novel, for me, is its gratuitous, excessively detailed descriptions of various forms of torture, which I found so revolting and unnecessary that I probably shall not read any more of this series. This is a pity, as the author writes well and can tell a good tale, and there are lots of nice touches of humour and word-play, which work well thanks to the typically able and sympathetic translation by Don Bartlett. I feel it is a pity that the author cannot rely on his excellent character of Harry Hole (or “Holy” as an Australian ex-colleague calls him), his atmospheric Oslo and other Norwegian locations, and his talent at plotting, to stand for themselves without the addition of truly horrible scenes purely for shock effect – presumably they are considered to have commercial value. I purchased the Kindle edition of this novel, published in the UK in 2011 by Harvill Secker. Read other (very positive) reviews of this novel at: Euro Crime, The Book Bag, The Independent and The Guardian. The Harry Hole novels are best read in series order (which is not the same as the order in which the books are being translated into English). The correct (reading order) chronology can be found at Euro Crime, including reviews of the previous installments. Towards the end of The Leopard, though, there is a paragraph summarising all Harry’s previous cases (including the first two series novels, which have not been translated), and during the book there are various characters from and references to earlier novels. These references, though, will be more satisfying to those who have read the earlier books. I read the fifth Joe Pickett novel in between two by Anthony Trollope – the Trollopes are very long; the Joe Pickett books are short, only taking a couple of hours each to read. Out of Range takes Joe away from Saddlestring to the larger Jackson, a centre for tourism in the region, with white-water rafting and other sporting activities, in contrast to the much more local beat with which Joe is familiar. Jackson’s game warden has committed suicide, much to Joe’s distress as the man was a friend, and Joe is asked to help out in the aftermath. Joe’s supervisor, Trey, drives with him over the mountains to the secondment, but the two men are sidetracked by the need to hunt down a rogue bear. This prologue is rather a long and disconnected section of the novel and I’m not sure of its purpose, other than to re-emphasise Joe’s reluctance to shoot anything. Once in Jackson, Joe discovers that he’s looked-down on as a country hick by most of his new colleagues and the people he has to deal with: law-enforcement officers, property developers, tourist guides, landowners and a representative of the “real meat” movement, in which people who were once vegetarians have now moved up or down (depending on your viewpoint!) to eating meat so long as they know the animal concerned and can ensure it has not been polluted by any modern farming treatments. There’s big money in this, and Joe is plunged into being pressured to complete the permit application for a huge area of forest for these animals to live. Joe’s concern is for the natural wildlife of the region, and whether elk, moose and other indigenous animals will be free to roam along their usual migration paths if the new “farm” is built. Not only does Joe face this problem, but he’s not popular with the local sheriff, either, who has been pre-alerted by Joe’s previous nemesis, Sheriff Barnum of Saddlestring, that Joe is likely to want to investigate the warden’s death. Despite being warned off, Joe isn’t convinced that the death was a suicide, so begins to ask around. In parallel with this plot, Marybeth, Joe’s wife, is struggling back at the family’s meagre home. She is resentful at Joe for leaving her to look after everything, and is soon embroiled in trying to deal with locals who need Joe’s services (as Joe’s temporary replacement has not shown up), and with a person who keeps calling the house and hanging up. Eventually, she calls on Nate, Joe’s falconer friend, to help – with mixed results that move the series on. I am pleased that the author is keeping the series fresh by trying out new themes, rather than repeating the successful formula of previous novels. Although I don’t think Out of Range is the best Joe Pickett novel to date, it is nevertheless a diverting read – as usual, becoming darker than one might at first think as the pages turn. I purchased the US mass-market edition of this novel. All the Joe Pickett series is being published this year in the UK by Corvus. I’ve read one or two books since the last one I reviewed here (Trophy Hunt by C J Box) but nothing that made me want to write a review. 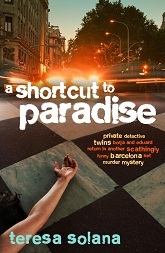 A Short Cut to Paradise by Teresa Solana (purchased in print format) is short, sweet and enjoyable, but in my view a pale imitation of the author’s first novel, a dazzling satire, A Not So Perfect Crime. The main issue for me with the new book is not the satirical aspects (segments about literary prizes and rivalries, translations and prison culture are all diverting) but the lack of a core. Twins Borja and Eduard and their bizarrely challenged, convoluted domestic and professional arrangements take too much of a back seat and I never enjoy supposedly hilarious set-pieces about people dropping inhibitions under the influence of some sort. Still, A Short Cut To Paradise will probably be one of the better crime novels published this year, it’s superior fare of its kind. For much more positive views, and proper reviews of this book, see International Noir Fiction, Simon Clarke and The Game’s Afoot. 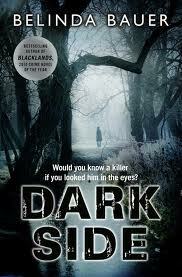 Then I read Darkside by Belinda Bauer (borrowed from the library). I was absorbed in the novel’s setting of village life in Exmoor and the character of the wife who has MS. I was less convinced by the police rivalries and, like most reviews I’ve read, the denouement. The motivation of the killer in the final event is believable enough, it is the previous murders that seem to me unrealistic and out of kilter with what has been portrayed throughout the book. Still, the plot is one that has been done before, and rarely works (if I give examples it will give away the plot! ), but that doesn’t mean it isn’t worth attempting. Darkside is written by an author who writes screenplays and as I read it I kept thinking that it had been written with a TV or film version in mind – I don’t know if this is so, but I think it would make a good screen thriller. Next I read a book which I loved, Can You Forgive Her? by Anthony Trollope – another doorstop like the last one of his I read (He Knew He Was Right), so it took me a while. Can You Forgive Her? is the first of the author’s six Palliser novels so I expect I shall be occupied for some time in reading the next five – though I shall be prudent and order only one at a time in case I fail to sustain interest. (Phineas Finn should be en route as I write.) Sadly, I could not find these books in the library or in my two remaining local bookshops, Waterstones and W H Smith. Although all Trollope’s books can be downloaded free as e-books (eg via Kindle), I am choosing to pay and read them in print format. I won’t attempt a review of CYFH as I would not be qualified, but it’s a great story about three women – an unmarried one, a wife and a widow, each of whom is faced with a choice of two men, one suitable and one unsuitable. The novel tells what they each do about it, but of course there’s lots more to it than that. I love the way that Trollope writes strong female characters and displays the discrimination that they experienced in many ways, but he does not preach about it, rather he lets the characters and the story speak for themselves (in fact although extremely sympathetic to his female protagonists and their unfair life-situations, he seems quite against declared feminists and independent “intellectual” women on the basis of those he puts in his books). The events of CYFH occur in conjunction with byelections, Westminster politics and, specifically, electoral reform, which is fascinating both in its own right and in the context of similar situations today. More animal corpses are found – thankfully, not described in any more detail than necessary – and when a human body turns up with similar injuries, a task force is set up consisting of some characters from previous novels – the unpleasant sheriff, an FBI agent and, of course, Joe, representing “biology”. Joe rapidly finds that most of the other task force members are either uninterested or actively hostile to the investigation, perhaps because of the effect of the deaths on local tourism and other business, so he finds himself the only person who is prepared to investigate the deaths with an unbiased perspective, that is, without assuming that aliens have been at work. In view of the family’s financial challenges, Marybeth, Joe’s wife, has given up her part-time jobs at the stables and the library, and is reinventing herself as a freelance business adviser. Her main clients are Cam and Marie Logue, a couple who have bought the Saddlestring realtor’s office and have moved into an old house in the woods where Cam grew up. Cam’s family moved away from the region when he was a teenager, so he is pleased to return as an adult with his own wife and young daughter, Jessica. Jessica plays with Joe and Marybeth’s children after school, but the girls make an unpleasant discovery in the woodshed (!). As with previous novels, Joe is frustrated by the politics and obstruction that goes on around him. All he wants to do is to find out what is causing the deaths and to stop them from happening. Because nobody else on the task force will do much, he ends up investigating various leads and interviewing witnesses in the woods and mountains, sometimes helped by Nate, his falconer friend from the previous novel. In the sense of identifying the main culprit, the mystery is not a hard one for the reader to solve. But in the process of his efforts, Joe uncovers more than a few grim secrets held by friends, neighbours and other residents. There is a mystical element to this novel which although thankfully limited to hints, I don’t think works as well as the rest of it. Some aspects of the investigation are left unexplained, the reader being left unsure as to whether there may be a down-to-earth explanation or whether ethereal forces are supposed to have been operating. 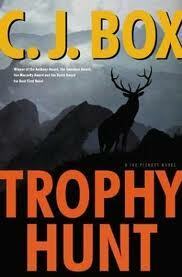 Yet, as with the previous books in the series, Trophy Hunt is a highly readable novel about a real (not romanticised) family and their various small tribulations of daily life, as well as being an involving, knowledgeable account of the natural environment and its preservation, issues that are not presented in a simplistic way, thankfully. I am sure it won’t be long before I am reading the next in this series! I purchased the hardback US version of this novel. I’ve just created a new section to the right of this post, called “Reading recommendations”. I’ve included three Amazon lists, one of my favourite reads in 2010, and two of highly recommended crime-fiction series. Amazon does not let you list series as opposed to specific books, so I’ve tried to include the first of each series in these lists. Enjoy! I have not posted any reviews recently, partly because I have read a few novels for Euro Crime*, and partly because the book I finished most recently hasn’t inspired me to write it up. I enjoyed it – it was A Change in Altitude by Anita Shreve, set in (I think, the period is not given explicitly) 1960s Kenya. The title refers to two life-changing trips to climb Mount Kenya which I found somewhat unconvincing, but the main novel is about a young American couple, the husband an insubstantial but priggish doctor/medical researcher (shades of Somerset Maugham’s The Painted Veil) and the wife, when she does anything, a freelance photographer (a Shreve leitmotif). The book is told from the point of view of the wife, and is very engaging, as she gradually becomes involved in the lives and concerns of various Kenyans, as opposed to the ex-pat Europeans with whom she officially associates. Overall, anyone who likes Anita Shreve will like this book, but I felt one weak point was that the subsidiary characters appeared and then vanished, or appeared too late in the novel, for the whole to really gel. After I finished that, I embarked on a 950-page whopper, He Knew He Was Right, by Anthony Trollope. I have about 200 pages to go and it is a lovely book. Part Jane-Austen-like, in its detailed depiction of the romances and small social concerns of the high-society and country-society characters, and part political and social comment, it is above all a great story with wonderful characters who are all so vivid on the page. One might think, as the book starts, that this is a conventional Victorian novel of a marriage, a storm in a teacup, and a predictable outcome, but it isn’t at all, it is much, much darker than that. So, what’s next? 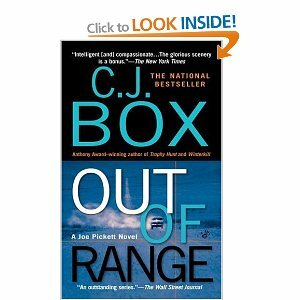 I have the next two Joe Pickett novels by C J Box in print editions (Trophy Hunt and Out of Range), as well as the next one after those (In Plain Sight) in Kindle format. Only a few of this series is available in e-format, oddly. Other, previously downloaded but not yet read Kindle books are The Leopard by Jo Nesbo, translated by Don Bartlett, and (in a mad moment of £1 Christmas download weakness, as I did not like Therapy with its ridiculous, constant “shifts of ‘reality’ “), Splinter by Sebastian Fitzek. In print format, most pressingly (recently purchased) I have A Short Cut to Paradise by Teresa Solana, translated by Peter Bush (can’t wait! ), One Day by David Nicholls (purchased in another moment of mad weakness to make up a 3 for 2 deal in Waterstones, somehow I doubt I am going to like this although I have a recommendation from several young women who share a house, who all liked it) and a “two in one” Anita Shreve-fest (I think Strange Fits of Passion and Where or When, but don’t hold me to it, I haven’t checked). *Reviews recently submitted to Euro Crime are Meet me in Malmo by Torquil MacLeod, Frozen Moment by Camilla Ceder (translated by Marlaine Delargy), A Question of Belief by Donna Leon, and Silent Voices by Ann Cleeves. My last update on my progress on reading the books eligible for the International Dagger for 2011 was at the end of October last year. To qualify, books have to be translated, and published in the UK between May 2010 and June 2011. Karen continuously updates her essential Euro Crime blog post of eligible titles. Operation Napoleon by Arnaldur Indridason, translated by Victoria Cribb (Iceland). Between Summer’s Longing and Winter’s End by Leif G W Persson (not reviewed as I did not enjoy it much). I suppose I must by now have read enough titles to think about which, if any, are my front-runners. So far, there are no real stand-outs in the list. Most of the books I’ve read are very good, solid novels, but I would not say that any of them have that extra factor that makes them a potential crime fiction classic (as I am sure novels by Johan Theorin, last year’s winner, will be, for example). My own personal favourites to date (in no special order) are Red Wolf, Frozen Moment and Needle in a Haystack, though there is not much in it. There are still some enticing prospects in the titles that have not yet been published, and the glowing reviews so far of The Leopard make me think it is likely to be a strong contender. Plus quite a few others, most of which I shan’t read partly for time reasons and partly as they are magical and/or religious-historical, are about serial killers, are said to contain graphic violence, and the like. My previous posts about the International Dagger.